ProSpeed: Custom Doors and Windows, is a residential construction company with roots in forty years of custom home building. In 2000, we dedicated all that experience to custom and tailored woodwork and carpentry for detailed installations of doors and windows. We are a dealer for Marvin, Simonton, VinylMax or Provia. These architecturally pure windows and doors always have a right answer to any project. Doors by ProSpeed solve the problems with industry standard door frames. Our product, StrongJamb annihilates the flimsy industry standard jamb frame. The component design, made to accommodate every decor and application, including historical doors, is not an add on. Compare our product to the industry at www.strongjamb.com. ProSpeed: Security Door Jamb Systems, makes every door a physical barrier protecting you and yours, beautifully. 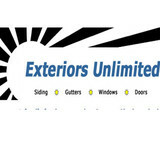 Exteriors Unlimited is a family owned and operated exterior remodeling business serving the Greater Cincinnati area since 1975. We take care of customers’ homes as if they were our own, and provide quality products and dependable service, striving for complete customer satisfaction. Our customers agree we do just that…. Each year, over 75% of our sales are generated through repeat customers and customer referrals. Whether you want to increase your home’s value, reduce maintenance, save energy, or simply make it the best looking home in the neighborhood, we’d love to help make that happen. We can answer questions, provide recommendations, and discuss all of your project needs. Give us a call for a free estimate on your siding, trim, gutter, window, or door project. Specialty Screen and Glass is a family owned and operated business serving homeowners and businesses for over 50 years. 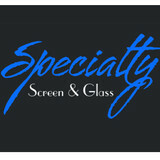 Opened in 1956, Specialty Screen and Glass is located in the heart of Sharonville, Ohio at 11144 Main Street. Our original store can still be found serving the residents of Santa Cruz, California. We have been serving the Cincinnati area for over 25 years. We are a full service glass and screen company able to fulfill all of your residential glazing and screening needs. We strive on repeat and referral business and we do little advertising due to the large amount of repeat work that we have from our customers. We have an A rating with the BBB and are very proud of our customer service and job quality. We don't try and oversell as it is called in the window world by starting at high pricing and coming down like many competitors. We are a fair and honest company and proud to be be in business in the competitive economy we have had over the last decade. One of many specialties that we offer are Heavy Glass Shower Enclosures and custom mirrors in bathroom remodels. Our salesman and owner is also your installer, so you know you are getting the best from start to finish of a project. One of the largest portion of our sales is glass replacement in windows and full new replacement windows. When someone calls us we give an honest opinion of what is needed for their windows. If windows are less than 15 years old and operate fine then we do not try and sell you new windows. You can buy glass units at a fraction of the cost of new windows. Sometimes savings exceed 75% compared to the cost of new windows. Customers appreciate our honesty and that is what keeps them coming back for other services we offer that are listed below. We are a complete custom architectural millwork company. Custom wood shaping is our specialty such as curved, radius, or elliptical or gothic doors, windows, and mouldings. For nearly half a century, Pater Architectural has been designing and creating architectural masterpieces from the finest woods available. We create exact historic replications for preservationists or create new rich wood products to add the perfect touch to new architectural projects. We strive to exceed your expectations. Whatever your budget, we can give you value added engineering and solutions that will help you to make the best decisions for your particular circumstances. Intelligent Biometric Controls, Inc. has been supplying super modern and sleek biometric door locks for homes and businesses since 2001. 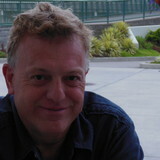 You can find all the product offerings and consulting information on a couple websites or by calling, of course: www.ibcbiometrics.com or www.fingerprintdoorlocks.com or www.actatekusa.com We look forward to speaking to you and helping to create ease in your life. What kind of services do Dayton door dealers provide? Door dealers are responsible for a variety of services, including door installation, replacement, door repair and custom door design. If you need a new door, Dayton, OH door dealers will help you determine what kind you need, as well as shape, color, size and more. From barn doors to French doors to front doors, these professionals can help you choose, install and maintain your door investments. Wood doors are beautiful, versatile and tend to be the most popular choice for both interior and exterior doors; they are easy to custom build, and include oak, cherry, walnut, mahogany, maple, fir and pine. Some standard wood doors have MDF cores wrapped in wood veneers, which minimizes the chances of warping as real wood expands when wet and contracts when dry. If your heart is set on a wood door but you think the Dayton, OH climate might cause it to warp, talk to your door professional about a furniture-grade veneered door. Aluminum doors have an insulated core and come in a variety of colors and finishes. With a baked-on enamel finish, they won’t rust or need repainting, and many come with a 20-year warranty. Next to wood they are the most expensive and have to be custom-made. A Dayton, OH door dealer can help you find a reputable aluminum door manufacturer. Find door dealers and installers in Dayton, OH on Houzz. Look in the Professionals section of our website and search for Dayton, OH door dealers and installers. Read reviews, look at project photos and see how a pro can help with your home improvement project.